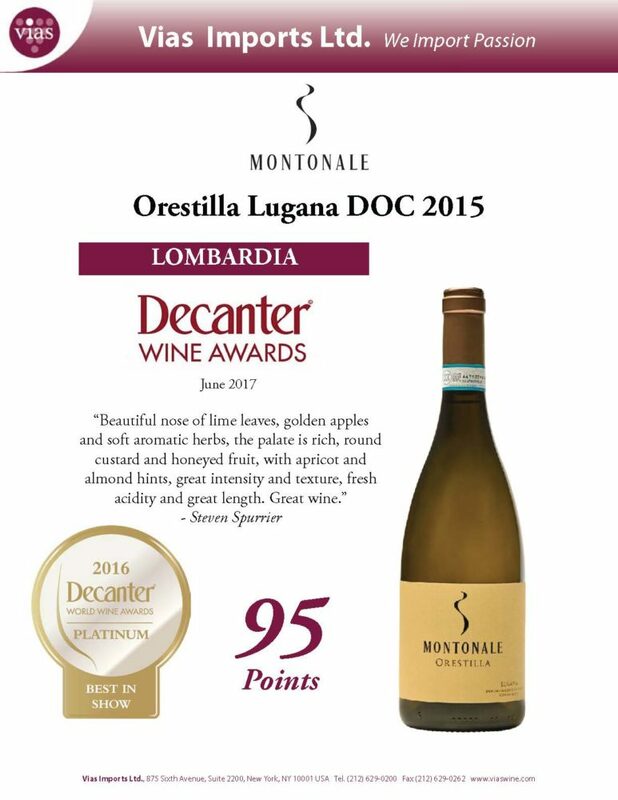 A big congratulations to Montonale winery, the Girelli family and all their team, for being awarded the Platinum medal, Best in Show, in the recent Decanter World Wine Awards 2016, with their Orestilla Lugana DOC 2015. The wine is listed as the best white single -varietal wine of the world with 95 points. It was reviewed by Steven Spurrier, Decanter’s consultant editor, and one of the top wine journalist in the world, who was recently named “Decanter ‘s Man of the Year 2017”. The magazine mainly focuses on wines available in the United Kingdom's market. Decanter World Wine Awards (DWWA) is a wine competition founded in 2004 and is the world's biggest wine competition with over 15,000 entries per year. The results of the competition are published on Decanter's website and in Decanter's August edition.